Jonathan, Eduardo and I went to Bill's for breakfast after dropping Emilia off at school. This has become our little morning tradition whenever Eduardo isn't at nursery or we're not busy with something else and he loves it! 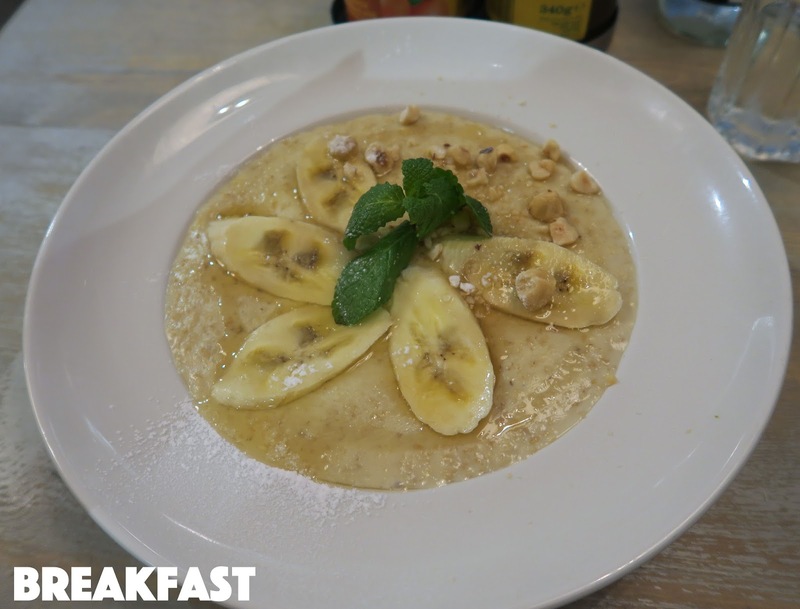 I ordered the porridge with soy milk, banana, hazelnuts and honey. I also got a black coffee and drank a bottle of water. I wasn't hungry again until lunch as that breakfast really filled me up! 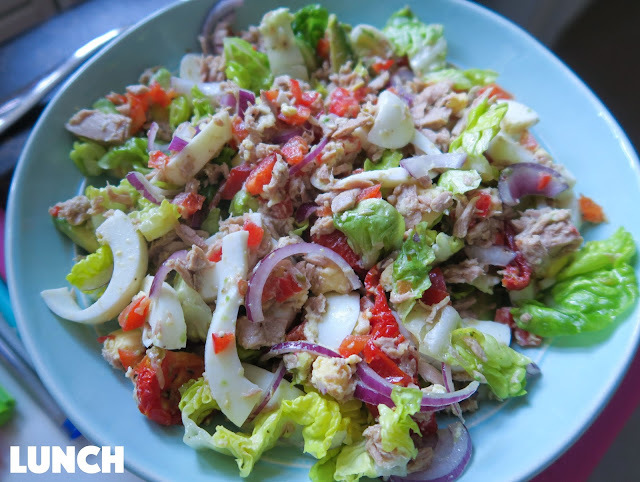 I had a big tuna salad with boiled eggs, red onion, tomatoes, sun-dried tomatoes, lettuce, avocado and olive oil with a bottle of water. This salad is so delicious, I had it twice last week! I love the combination of egg and tuna...yum. Later that afternoon I had a black coffee (to keep myself awake!) 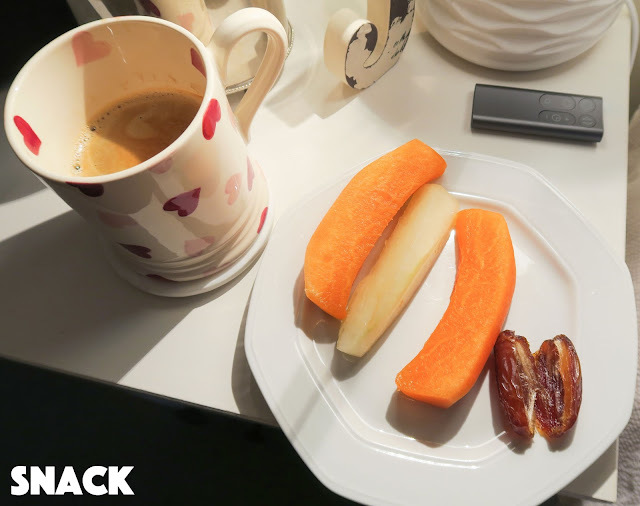 some melon slices and a medjool date. Bit of a random snack I know...but I couldn't figure out what I wanted to eat and ended up grabbing stuff from the fridge without really thinking about it! We usually eat dinner around 6 o'clock but I was still cooking and getting hungry again. What I've found in the third trimester is that I'm constantly hungry if I'm not suffering with heartburn! 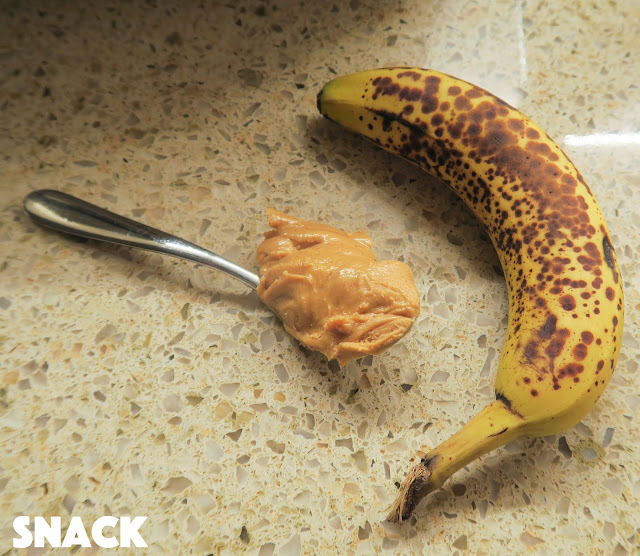 So I had another quick snack of a banana and spoon of peanut butter. For dinner I made beef steaks (done in a sandwich press/grill by Cuisinart which is honestly my favourite kitchen appliance I've ever bought! It's amazing! We make everything in this.) with broccoli and I had leftover potato/parsnip mix from the night before. There was sweet potato in it but that was all gone as it's everybody's favourite! 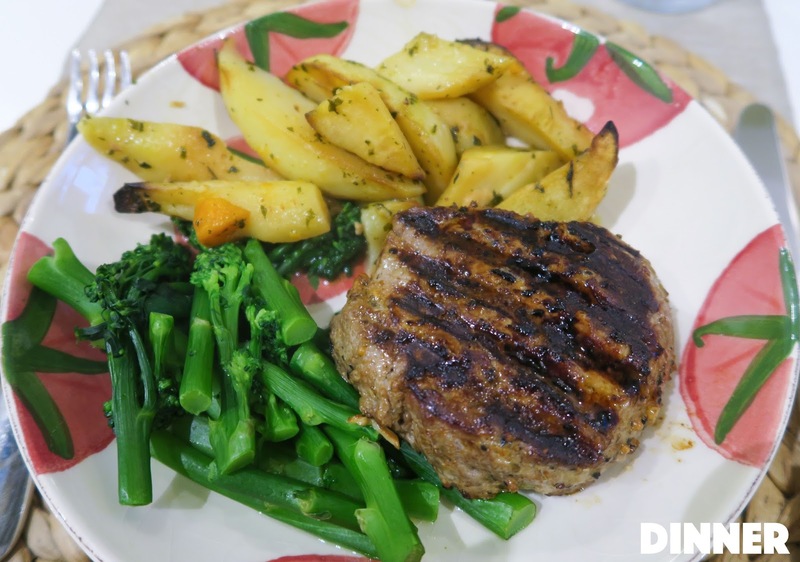 I've never been a fan of steak and wouldn't order it in a restaurant but these actually turned out really good! And Jonathan was super happy :) To drink I had a bottle of water. Dessert was actually pretty healthy as I had one of my vegan brownies I baked over the weekend which the kids don't like (they tell me it's because there's nuts in them...ughhh) and Jonathan isn't a fan either (boo) but I happen to think they're good! Although I would not call these brownies. They're drier and more like a banana chocolate walnut loaf cake. But I like them because they're healthy, I know all of the ingredients that are in them and they're quite rich & dense. 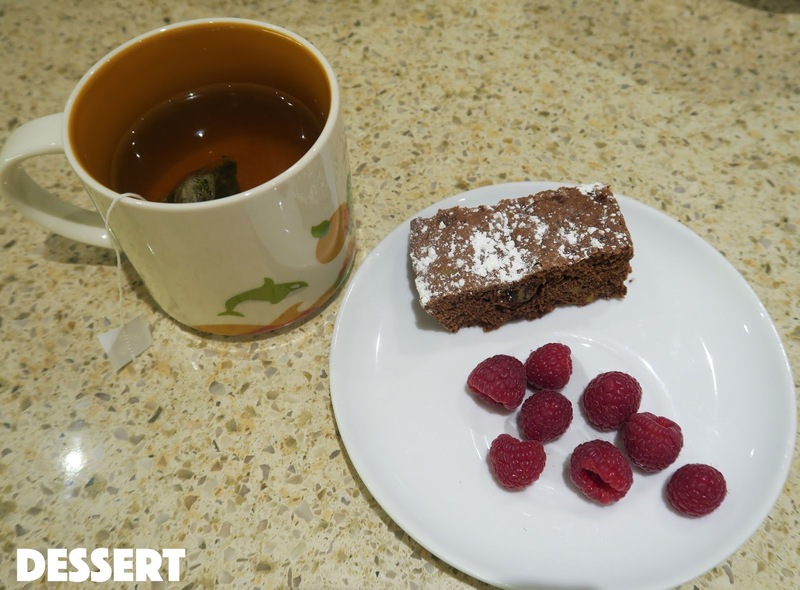 Plus I used good quality chocolate so you know it's good :) I had one with a few raspberries as the combination is delicious, plus a peppermint licorice tea and another water! And that's all folks! 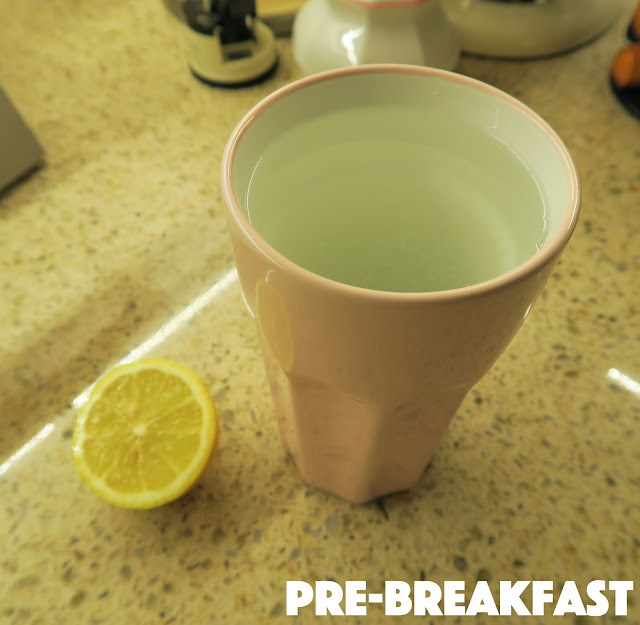 Feel free to check out my What I Ate video above to see what we got up to yesterday! i love how much effort you put in your blog posts, anna! Yes! Another blogpost! That looks so yummy btw :) love you Anna! That looks so yummy and tasty! I don't know if anyone's ever told you this, Anna, but you look very much like Daenerys from Game of Thrones. You know Khaleesi? Your face resembles her SO much. Also, Emilia looks like a little Shirley Temple with her curls and rosy cheeks. So pretty, both of you! I love these posts from you Anna!! They're so great and give me some motivation to eat well :) Also that brownie looks DREAMY. Actually my favorite blog posts and videos! I love seeing what you eat, how you prepare your food, etc...It all looks so yummy! I can't ever read a post or watch a video without getting hungry, haha! Love you Anna, hope your having a wonderful new year! That steak looks so amazing Anna!